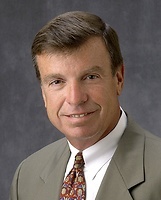 George has been a partner since 1983 and is co-founder and former managing partner of Sullivan's New York office. George's practice concentrates on lending and other financing transactions, with a focus on asset securitization. As a member of the firm's Securitization Practice Group, he represents issuers, credit enhancers, liquidity providers and conduit and other purchasers in domestic and international financings involving the securitization of wide range of financial assets. George also represents numerous foreign and domestic banking organizations in secured and unsecured lending transactions and project financings, as providers of credit enhancement and in other capital markets activities.